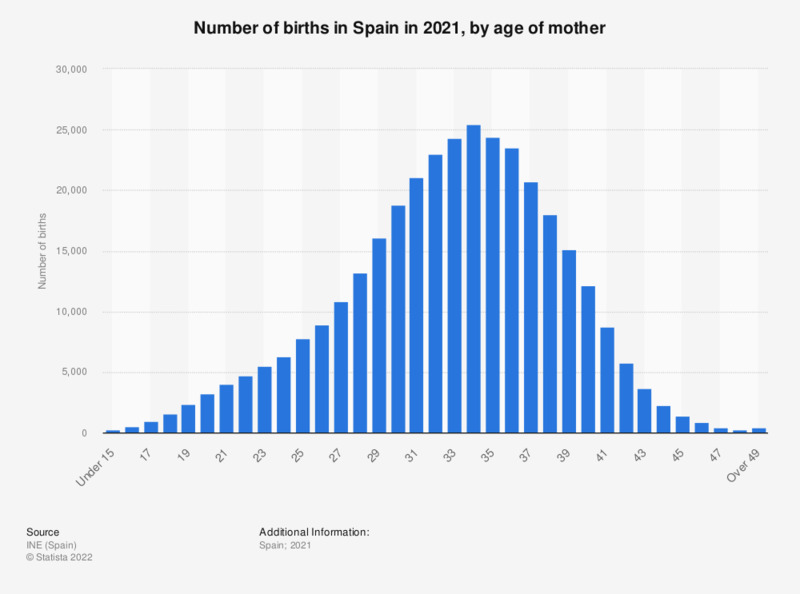 This statistic displays the number of births in Spain in 2016, by age of mother. Mothers aged between 30 and 34 years gave birth to 142,010 children, the highest number recorded during this period. Mothers over the age of 50 gave birth to 133 children the lowest number in this year.